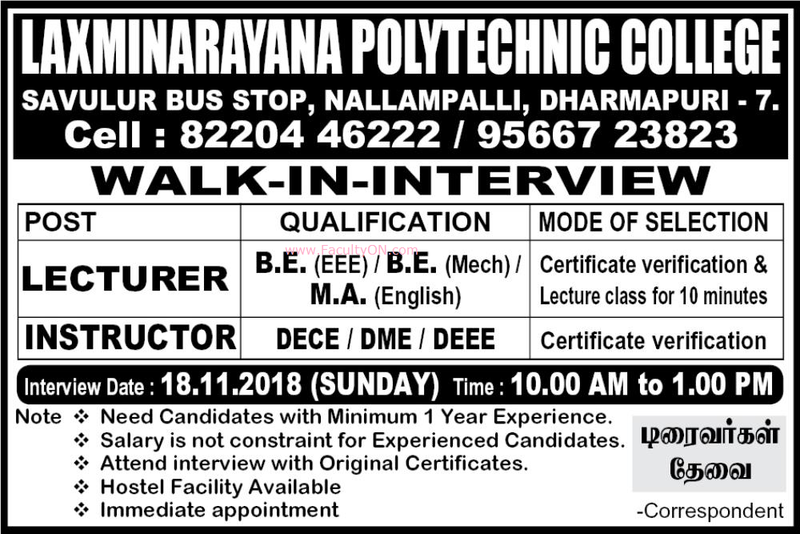 Laxminarayana Polytechnic College, Dharmapuri has advertised in the DINATHANTHI newspaper for the recruitment of Lecturers / Instructors jobs vacancies. 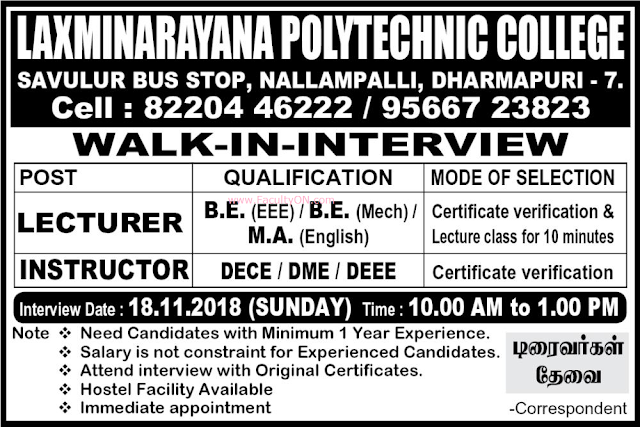 Interested and eligible job aspirants are requested to walk-in on 18th November 2018. Check out further more details below. College Profile: Laxminarayana Polytechnic College was established in the year 1998 and is run by Lakshminarayana Educational Trust, Dharmapuri. The Institution is located in a clean & Beatiful environment, equipped with latest machineries and greatly dedicated and competent faculty members. An active placement and Training cell function with the sole aim of placing students in various companies including MNC.The prime ambition of our institution is affording opportunities to young men and women for equipping themselves to get employed and contribute to the technological development of nation.